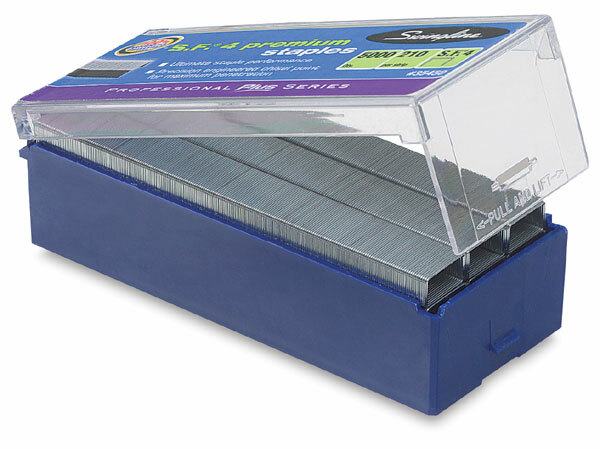 Flat wire staples, 210 per strip. For use with all standard staplers. Staples are ¼" wide.